When “Unbreakable” came out almost nineteen years ago, most people went into the theater expecting a spiritual successor to “The Sixth Sense.” Instead, M. Night Shyamalan gave us a superhero movie, a genre that had lost much of its street cred on the heels of “Batman & Robin,” “Steel,” and “Spawn.” Only four months before “Unbreakable” came out, though, the original “X-Men” kicked off a long line of successful comic book adaptations. 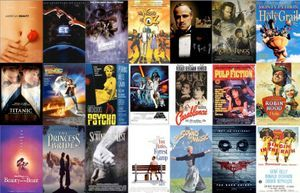 Since then, entire cinematic universes have been constructed around heroes who started out on the printed page. In the MCU, Samuel L. Jackson has brought the Avengers together as Nick Fury. In “Glass,” he reprises his role as Elijah Price to assemble a different breed of heroes. The reveal that 2016’s “Split” was a secret sequel to “Unbreakable” stands out as one of modern cinema’s finest twists, rejuvenating Shyamalan’s incredibly inconsistent career. Shyamalan has had his fair share of misfires and some of his more laughable habits are still present in “Glass.” The writing isn’t without its self-indulgent moments and the symbolism is often on the nose. On the whole, however, Shyamalan has a lot of fun with the characters he’s created, connecting them in inventive, unexpected ways with clever worldbuilding and colorful visuals. It takes us back to a time when we were actually excited to see what Shyamalan has planned next, which is perhaps the greatest twist of all. Bruce Willis reprises his role as David Dunn, the unbreakable man who has protected the streets of Philadelphia for nearly two decades, earning the alias of The Overseer. Spencer Treat Clark is also back and all grown up as David’s son, who has always encouraged his father to follow the path of a superhero. David meets his physical match upon crossing paths with Kevin Wendell Crumb, once again played by James McAvoy, who embodies a total of 24 personalities, including the fearsome Beast. 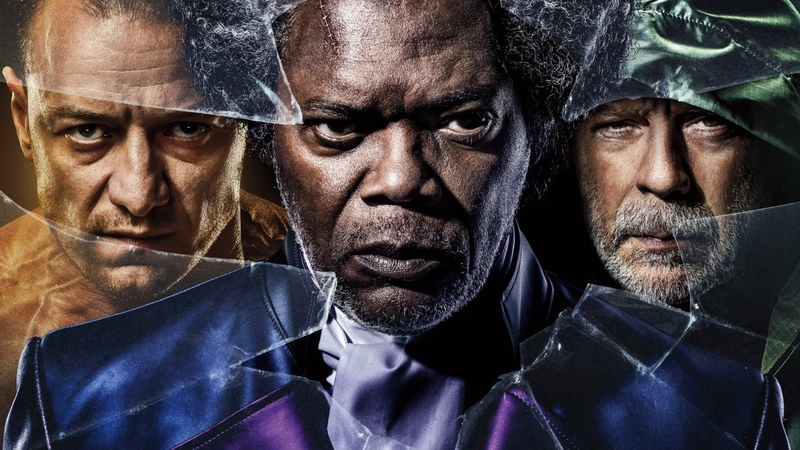 Both men soon find themselves caged in a mental hospital with the brittle Mr. Glass, who has seemingly become catatonic after causing that tragic train accident years ago. All three are placed under the watch of Dr. Ellie Staple (Sarah Paulson), who believes her patients are suffering from the delusion that they’re gods living among mortals. It’s great seeing Willis and Jackson back in these roles after such a lengthy hiatus. David has essentially gone from being a reluctant hero to embracing his fate, portraying a character with the grit of Batman and the strength of Superman. While Jackson is subdued for a good portion of the film, he eventually emerges with a devious plan worthy of Lex Luthor. McAvoy, meanwhile, once again steals the show as The Horde, slipping in and out of various different characters in the blink of an eye. As over-the-top and even humorous as McAvoy can be, he still brings a degree of fear and even tragedy to his character(s), even if you wish the filmmakers provided more insight into his backstory. The film also includes welcome returns from Anya Taylor-Joy as Casey Cooke, a young girl Kevin previously kidnapped, and Charlayne Woodard as Elijah’s longsuffering mother. From a psychological standpoint, the whole setup of “Glass” may seem weak at first. Staple spends much of the film trying to convince our heroes and villains that they have no real supernatural abilities. While she brings some logic and reasoning into her arguments, the audience knows that Shyamalan isn’t going to copout with such easy answers and if he did we’d just be left feeling cheated. There are also several things about this mental hospital that make absolutely no sense, at least until we get to the final act. This is where Shyamalan brings things full circle, delivering on this trilogy’s true potential. Without giving too much away, Shyamalan gives us one satisfying twist that’s topped off with another twist… and then yet another! Some may call the ending preposterous, but for a superhero movie set in a universe from the mind of Shyamalan, it feels just right. What’s more, it leaves the door open for more additions to a series packed with potential. So, where exactly can Shyamalan take the story next? Well, if David and Kevin exist in the same world, who’s to say that Cole from “The Sixth Sense” can’t join in with his superpower to see dead people?